Freight capacity, measured in available freight tonne kilometers (AFTKs), grew by 6.2% year-on-year in May 2018. This was the fourth month in a row that capacity growth outstripped demand growth. "We expect air cargo demand to grow by a modest 4.0% in 2018. That’s an uptick from a very weak start to the year. But headwinds are strengthening with growing friction among governments on trade. We still expect demand to grow, but those expectations are dampened with each new tariff introduced. Experience tells us that trade wars, in the long run, only produce losers," said Alexandre de Juniac, IATA's Director General and CEO. All regions except Africa reported an increase in growth in May 2018. Asia-Pacific airlines saw freight demand increase in May 2018 to grow 4.9% compared to the same period last year. This was an increase over the 3.9% recorded the previous month. Capacity increased by 7.4%. As the largest freight-flying region, carrying close to 37% of global air freight, the risks from protectionist measures impacting the region are disproportionately high. That said, there are signs that demand is accelerating for international FTK’s. North American airlines’ freight volumes expanded 5.9% in April 2018 compared to the same period a year earlier. This was an increase in demand from the 4.6% rate of growth recorded the previous month. Capacity increased by 5.4%. The recent momentum of the US economy and the US dollar has helped strengthen demand for air imports. 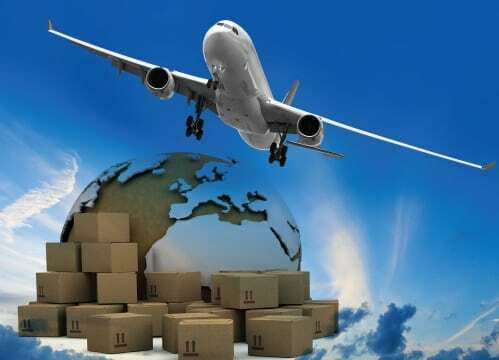 Data from the US Census Bureau shows a 12% year-on-year increase in imports by air in April, compared to 2.4% growth in March. European airlines posted a 2.3% increase in freight volumes in May 2018. This was a slowdown from the 3.5% rate of growth the previous month. Capacity increased 6.0%. Seasonally-adjusted volumes rose slightly over the past two months; however, the annualized rate of growth over the past six months remains low at only 1.5%. Middle Eastern carriers’ freight volumes grew 2.4% in May 2018. This was a significant deceleration in demand of over 6.9% the previous month. The decrease mainly reflects developments from a year ago rather than a substantive change in the current freight trend. Seasonally-adjusted freight volumes continue to trend upwards at a comparatively modest pace by the region’s standards. This is consistent with signs of a broader moderation in global trade. Capacity increased 3.3%. Latin American airlines experienced growth in demand of 11.4% in May 2018 - the largest increase of any region for the third consecutive month. Capacity increased by 1.5%. The pick-up in demand over the last 18 months comes alongside signs of economic recovery in the region’s largest economy, Brazil. Seasonally-adjusted international freight volumes surpassed the May 2014 peak this month. African carriers saw freight demand contract 2.0% in May 2018 compared to the same month last year. Capacity increased by 20.4%. After a surge in international FTK volumes last year, seasonally-adjusted international freight volumes have now trended downwards at an annualized pace of 15% over the past six months. This mainly reflects a softening in demand on markets to/from Asia and the Middle East. Αναρτήθηκε από geop στις 10:30 π.μ.